We dragged all the Christmas decorations out of the attic a few days ago, and the kids went to town decorating the tree. I’ve always loved watching them decorate the tree, and it’s especially fun now that they’re older and have attached their own memories to the ornaments. While I appreciate the thought that goes into a themed tree and find them beautiful, in my mind there is nothing more beautiful than my mish-mash tree of ornaments full of stories and meaning. I do have a few filler ornaments, but after 17 years of marriage and four kids we have acquired quite the assortment of special, home-made or gifted ornaments. 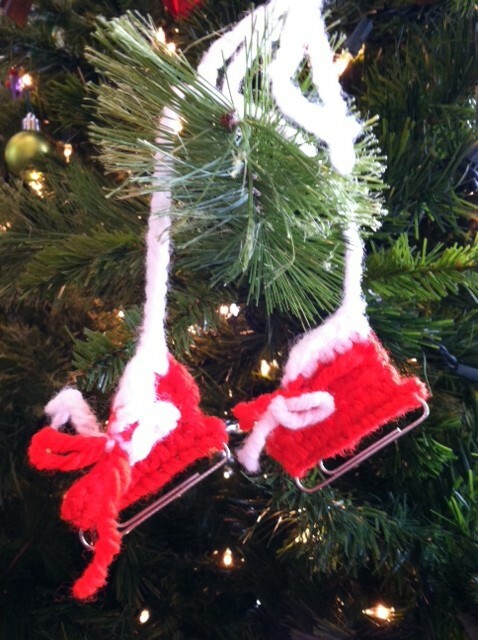 These crocheted ice skates on paperclips have been in my family for years, made by a great-aunt I think. My mom passed them along to me, either when I left for college or when I got married. Another one from my childhood. I cannot remember where this came from, but I do know both my sister and brother had one as well. If you look closely you’ll see my nickname engraved on it, “Dani Jo.” My mid-western parents must have known I’d end up in Texas when they decided on my very southern-sounding nick-name. 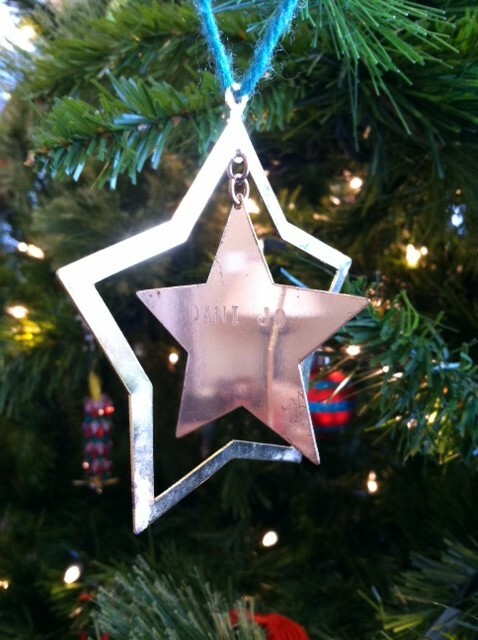 Most years I let my kids pick out an ornament of their own, but I discovered they rarely remembered from year to year which ones were theirs. So this year I ordered these for them and couldn’t be happier with them. 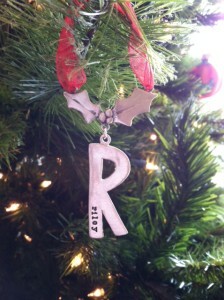 A sweet friend made this ornament for me a few years ago, the first Christmas after my mom passed away. I love it. And let’s not forget the multitude of hand- and foot-print ornaments from preschool. 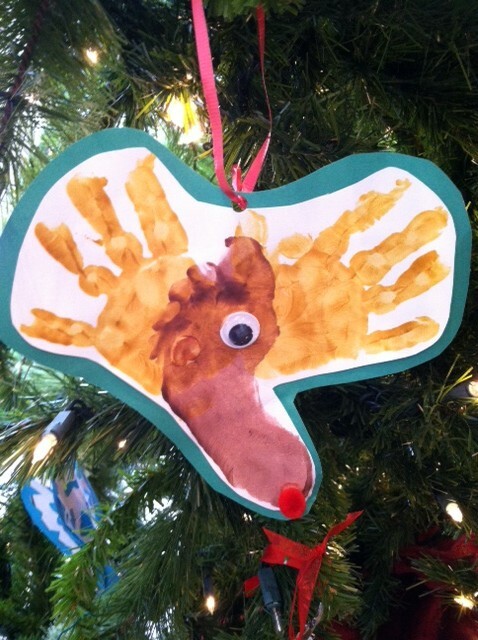 This one-eyed reindeer is my youngest’s foot for the face, and hands for the antlers. 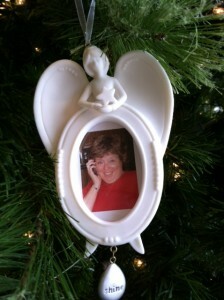 Precious…..though if he loses another eye in storage I’m not sure he’ll make the tree next year. Thanks for posting the link to the letter ornaments – I’m thinking that I might get some of these for my kids in the near future.